FREE for nonprofits located in southeastern and eastern CT.
Those outside the region will be admitted on a space-available basis at a fee of $25 per person. Registration Deadline: OCTOBER 4TH. Registration now full. Contact us about waitlist. Please, no walk-ins. 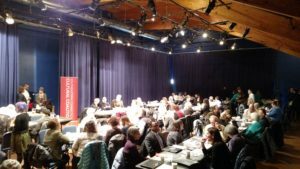 More than 100 people, representing 60+ nonprofit organizations located in eastern CT attended the region’s first DEI workshop in March 2018. Please note that it is not necessary to have attended our initial DEI workshop in March. The October workshop will contain a brief review, then new content. Part I attendees and newcomers welcome! This Diversity, Equity and Inclusion workshop will help nonprofit board leaders and executives gain and develop knowledge, skills, and practical tools, and resources that can be used to help advance their organizations’ DEI goals. How do we define diversity, inclusion, and equity? How might diversity & inclusion increase our ability to serve our mission and communities? Who will guide our efforts? What external resources might be useful as we move forward? The changing demographics of our country are creating a workforce more diverse than ever. With that diversity comes the need for nonprofit, foundation, commission and corporate boards to be more inclusive and more representative of the communities and customers they serve. Diverse governing boards can help institutions better align themselves with the communities they serve, stimulate dialogue and innovation, improve strategic thinking and decision-making and expand networks of dedicated talent. Jamal Jimerson is the Founder/Executive Director of Minority Inclusion Project Inc. He has worked for over 15 years in public service across Connecticut. Jamal started his career as an AmeriCorps ambassador while in college and spent the first five years of his post-graduate career working in public, charter, and independent schools. 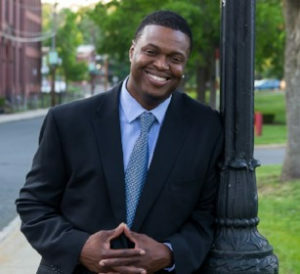 Driven by a desire to mobilize youth, families, and communities of color, Jamal was mentored into leadership for community-based nonprofit organizations across Connecticut, including Bridgeport, New Haven, and Hartford. 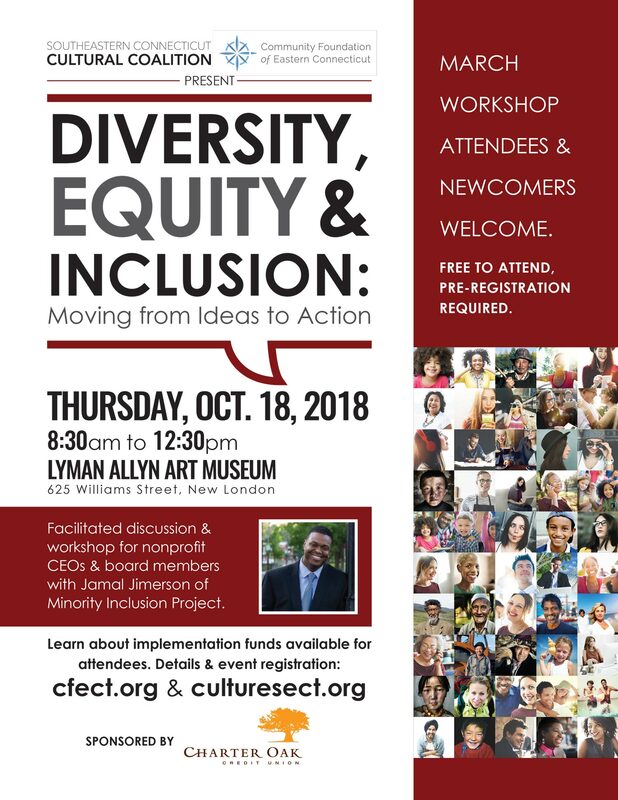 This event is co-hosted by the Southeastern CT Cultural Coalition and the Community Foundation of Eastern CT with support from Charter Oak Federal Credit Union. Bodenwein Public Benevolent Foundation, Dominion Foundation, Chelsea Groton Bank, Robert G. Youngs Family Foundation, Inc., Cultural Coalition Supporting Cast Members, our Donors and Partners. No Replies to "DEI Diversity Equity & Inclusion: Moving from Ideas to Action"